After all the cold weather from last week most of the leaves have fallen. It has been a lot of work raking but after such a lovely autumn it was worth it. I’ve even thought about jumping into the piles of leaves! Just before the weather changed I took some final pictures to remind me of how pretty autumn colors are. Here are some of my souvenir pictures from the last couple of weeks. 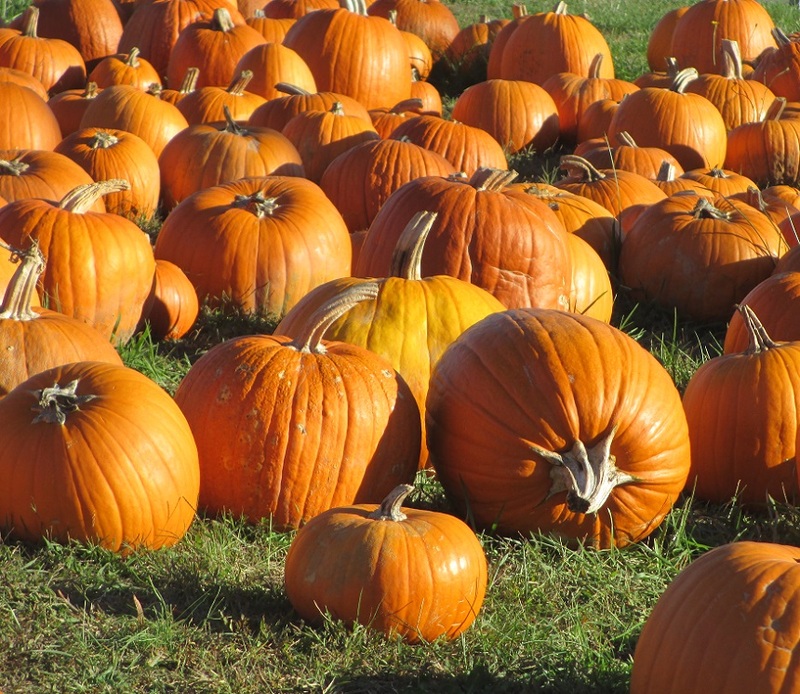 There are still pumpkins for sale at a roadside stand. They are so cheerful. Now it is time to look forward to the holidays. Happy Thanksgiving! There are more colorful pictures here. This entry was posted in Travel, USA and tagged autumn, colors, leaves, Virginia. Bookmark the permalink. Thanks Naomi – this has been such a lovely autumn! Thank you- I’m so happy to have these souvenirs because most of the leaves are on the ground now! Great colours. Our fall colours are almost all gone. The only colour we’ll have for a while is from Christmas lights. This autumn has been extra pretty, and you’re right – it’s time for holiday decorations! The colors have been simply dazzling this year – it’s been so special! Absolutely glorious, Meg! We’re thinking alike this week :) Hope Thanksgiving was wonderful for you. Beautiful colors of autumn. Love the leaves and the pumpkins! Thanks Renee! The pumpkins were so cheery and a perfect autumn color! Love this colorful post, Meg. The last one, Wow! Happy TG. Thank you Amy and I hope that you have a wonderful Thanksgiving! Your photos truly highlighted the beauty of Fall. It’s all dark and dreary now here in the Midwest. Happy Thanksgiving! Thanks – it’s just now starting to feel like autumn is over. Happy Thanksgiving to you too! Oooh – all those lovely autumn tones! This autumn has been one of the prettiest that I can remember! Pretty, but I really love that last shot. Thanks Patti – I thought that the last picture was almost dainty! I agree, it had an appealing quality that drew me into the picture. beautiful!!!! Fall is my favorite time of year and your pics capture the feel so beautifully! Thank you Bea – you are right about how wonderful everything looks when it’s sunny! Well done; so beautiful fall colors! Thanks! This is an autumn I’ll remember because of these amazing colors! I love the autumn colours Meg, we never get to see them much here. Happy thanksgiving! 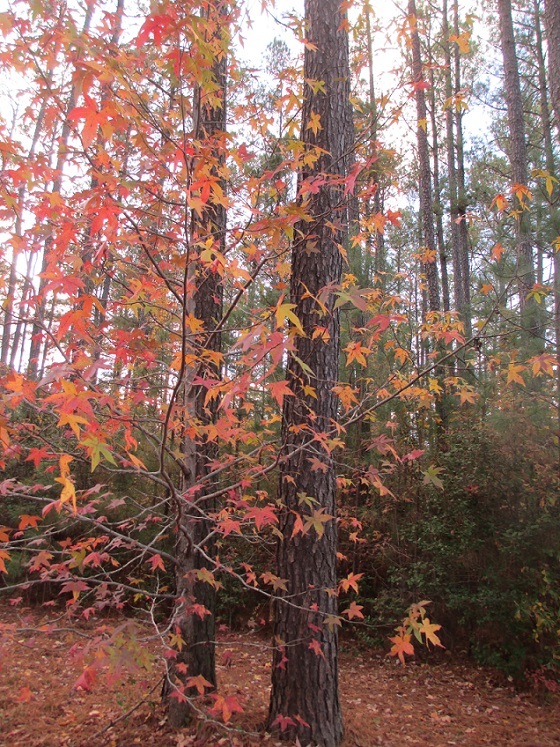 Thanks Sam – it’s really a nice season and I look forward to seeing the colors every year! Piles of autumn leaves should always be jumped in. Love the autumn colours in your photos. Thanks – I think that jumping in leaves is a fun activity! Now that’s REAL fall color, Meg. I mention “color” in our Southern Califonria autumn and reference very subtle changes to our landscape, but I can’t even imagine such bright and gorgeous Autumn colors as you show here. Absolutely beautiful! Hope you had a lovely Thanksgiving. We were warm enough to eat our dinner outdoors, but today we’ve had some very rare, and VERY welcome rain. :-) Have a wonderful week. Lovely blaze of red trees in those photos. You are lucky to see the beautiful autumnal hues.